Back Bay Books, 9780316068055, 656pp. New Bonus Chapter and Reading Group Guide, including Stephanie Meyer's Annotated Playlist for the book. "A fantastic, inventive, thoughtful, and powerful novel. 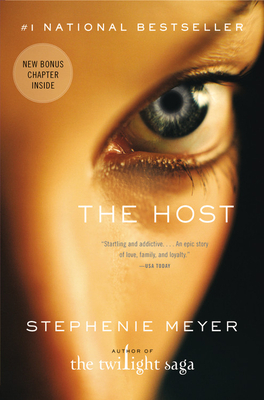 The Host should come with a warning label: it will grab you and keep you reading well into the wee hours of night, and keep you thinking, deeply, hauntingly, well after the final word. Stephenie Meyer captures characters and handles story line like a master--a hybrid combination of Stephen King and Isaac Asimov."